Founded in 1794, Pittsburgh Theological Seminary is a graduate theological school of the Presbyterian Church (U.S.A.), offering master's and doctor of ministry degrees as well as certificate programs. Pittsburgh Seminary prepares women and men for ministries in established and emerging Christian communities around the world. Rooted in the Reformed tradition and with a centuries-old history of mission and scholarship in service of the church, the Seminary is committed to relationships of mutual learning and serving with Christ-followers from other traditions and theological viewpoints. Our faculty and educational resources cultivate theologically reflective and contextually engaged Christian leaders. Our programs nurture vocational formation for bearing witness to the gospel of Jesus Christ. Our student body is comprised of Presbyterians, Baptists, Methodists, Episcopalians, Orthodox, and more than 20 other traditions from more than 30 U.S. states and countries around the world. Trusting in God's promises, we seek to be a generous and hospitable community, committed to scholarship in the service of the church, inviting one another into lifegiving and transformational practices including shared prayer and worship, intellectual inquiry, theological reflection, witness, reconciliation, justice, evangelism, and service—practices of discipleship that stir our imagination and shape our desires—as we seek to participate fully in God’s work in the world. In the complex realities of this world that God loves, from our neighborhood to the ends of the earth, Pittsburgh Theological Seminary will draw upon the best of our tradition and learn from others as the Spirit shapes and reshapes our common life and work in order to become a leading resource for theologically reflective and contextually engaged ministries. Pittsburgh Theological Seminary intentionally welcomes onto our campus organizations with many diverging viewpoints. Indeed, we aspire to be a location at which difficult—even painful—conversations can take place. Working with our brothers and sisters of other faith traditions, we uphold the values that bind us together—respect for and welcoming of all God’s children. The Seminary community recognizes that if we are going to be one Pittsburgh, everyone must listen and everyone must be heard. We aspire to model the kind of dialogue we want our students to have when divergent political and theological viewpoints arise. In this time in our country, respectful disagreement is especially urgent. Love of neighbor does not always mean agreeing; but it does require honoring others’ humanity. 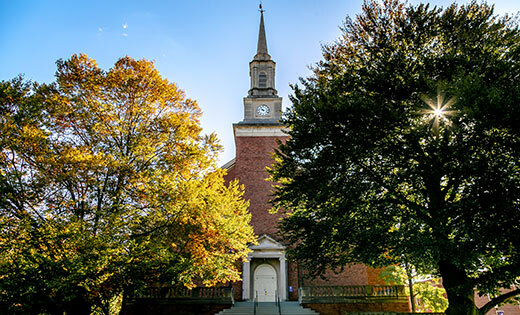 Pittsburgh Theological Seminary is accredited by the Association of Theological Schools in the United States and Canada and the Middle States Commission on Higher Education. The Seminary admits qualified students of any race, color, national or ethnic origin, and without regard to age, handicap, or gender. Master of Divinity (M.Div. ), Master of Arts in Pastoral Studies (MAPS), Master of Theological Studies (MTS), and Doctor of Ministry (D.Min. ).